The Vatican has denied media reports that Pope Benedict XVI is going to visit Bulgaria next year at the invitation of the Atlantic Club. 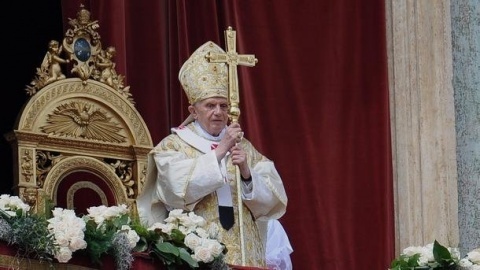 "There are no grounds to say Pope Benedict XVI is planning to visit Bulgaria. The invitation in question was a private one, which the pope kindly accepted in a gesture of gratitude and good will," Vatican spokesman Federico Lombardi told Vatican radio. He specified that talks about planning a papal visit to Bulgaria can be launched only after an invitation by the government and the Bulgarian Orthodox Church. The Pope met Wednesday with the President of the Atlantic Club in Bulgaria and former Foreign Affairs Minister, Solomon Passy, with the Director General of the BTA news agency, Maxim Minchev, the former Minister for EU Affairs, Gergana Passy, and the Chairman of the Bulgarian Chamber of Mining and Geology, Lachezar Tsotsorkov. During the talks, Solomon Passy invited His Holiness to visit Bulgaria in 2014 because they year marks the 20th anniversary of the first meeting of representatives of the Atlantic Club with Pope John Paul II.